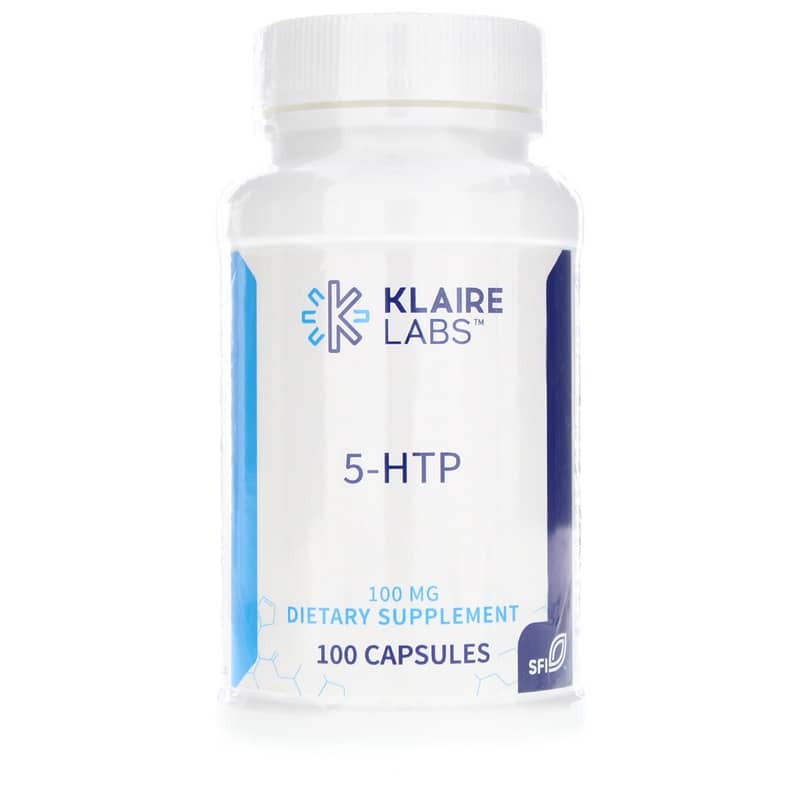 5 HTP by Klaire Labs is a natural brain support supplement that influences serotonin and melatonin levels. Klaire Labs 5-HTP is a natural extract of Griffonia seeds and certified free of Peak X. 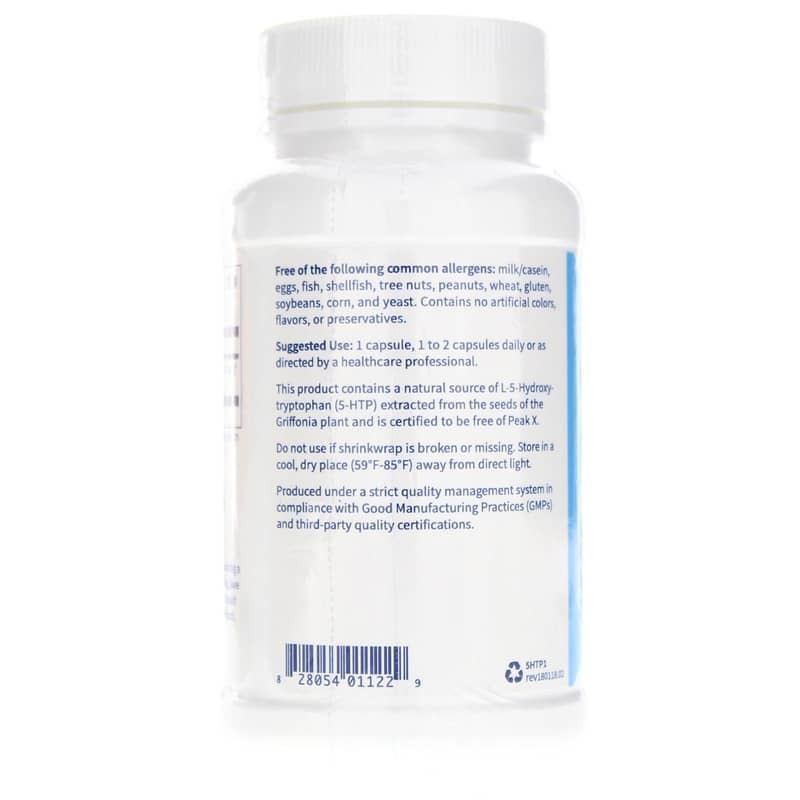 Each 50mg Vcaps vegetarian capsule is equivalent to approximately 500 mg tryptophan activity. Other Ingredients: microcrystalline cellulose, vegetarian capsule (hydroxypropyl methylcellulose, water), L-leucine, and silicon dioxide. 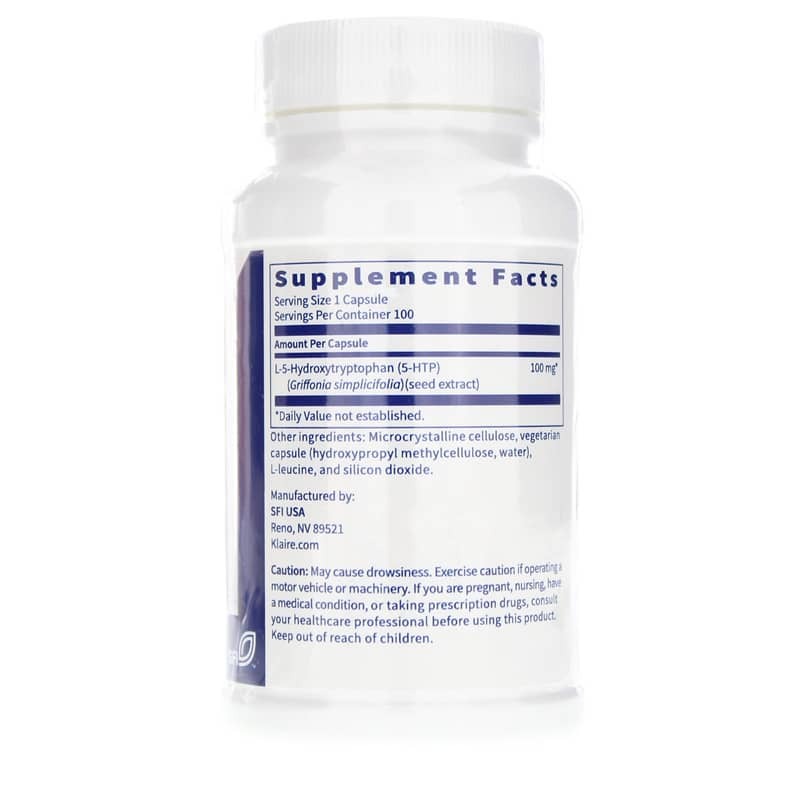 Adults: 1 capsule, 1 to 2 times daily or as recommended by a healthcare professional.